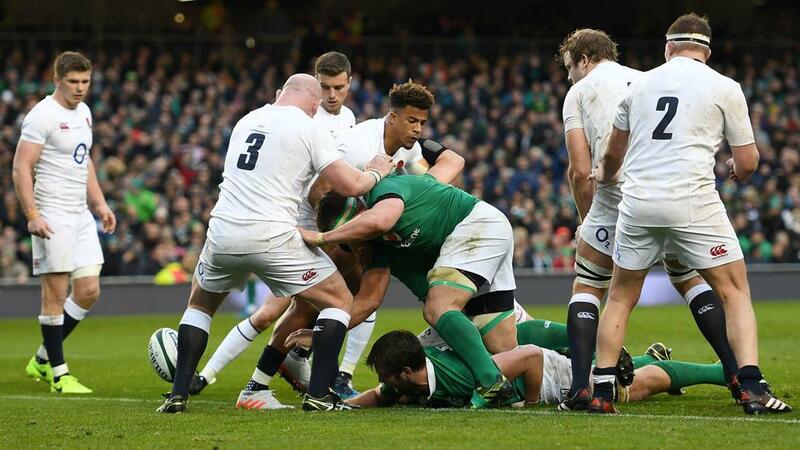 Ireland battled to a deserved 13-9 victory in Dublin to deny England a second successive Six Nations Grand Slam and bring an end to the record-equalling winning run of Eddie Jones' men. England matched New Zealand's mark of 18 consecutive victories by a tier-one Test nation last weekend as they wrapped up the championship title by trouncing Scotland. However, just like the All Blacks in Chicago last year, England saw their lengthy streak halted by Ireland, who had much the better of a scrappy opening period before holding off a predictable response from their visitors in the second half. An injury-hit Ireland led 10-3 at the interval, Iain Henderson's converted try the least their dominance of possession and territory merited. England have made a habit of finishing games strongly under Jones, but an improved display after the break was not enough to prevent the Australian overseeing a first defeat since he succeeded Stuart Lancaster in the wake of a dismal 2015 Rugby World Cup campaign.